Prior to any surgery, surgeons carefully craft a surgical plan to achieve a desired outcome for each patient. BLUEPRINT™ allows a surgeon to craft a shoulder replacement surgical plan in 3D, providing greater insight of each patient’s unique shoulder anatomy and increasing precision of implant placement with 3D printed patient specific instrumentation (PSI). 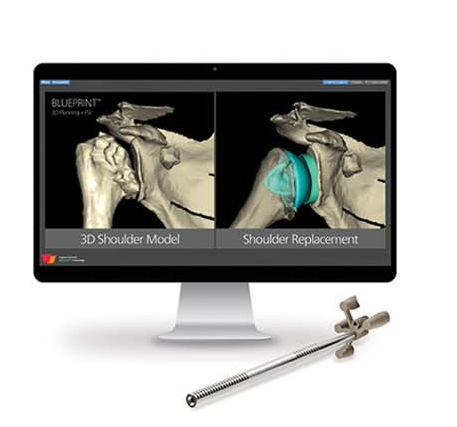 BLUEPRINT is a software program that allows your orthopaedic surgeon to develop a personalized, pre-operative plan and patient specific instrumentation for your shoulder replacement prior to your surgery. Using your CT scan, BLUEPRINT creates a 3D model of your shoulder, allowing your surgeon to virtually perform your shoulder replacement and determine the optimal surgical plan for you. Your personalized 3D plan is developed in advance of your surgery. Once the optimal plan for your surgery has been developed, your surgeon may choose to order a 3D printed guide that is specific to your shoulder anatomy. 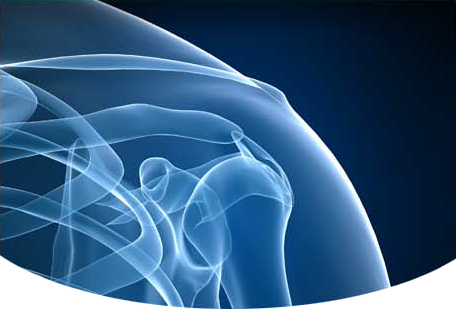 The guide allows your surgeon to accurately translate the 3D plan to your shoulder in the operating room. 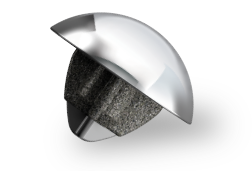 1 Joseph Iannotti, MD, PhD, Justin Baker, PhD, Eric Rodriguez, BS, John Brems, MD, Eric Ricchetti, MD, Mena Mesiha, MD, and Json Bryon, MS. Three-dimensional pre-operative planning and a novel information transfer technology improve glenoid component positioning. 2 Hoenecke HR jr1, Hermida JC, Flores-Hernandez C, D’Lima DD. Accuracy of CT based measurements of glenoid version for total shoulder arthroplasty. 3 Gilles Walch, MD, Peter S. Vereridis, MD, Pascal Boileau, MD, Pierric Derasart, M. Eng, Jean Chaoui, PhD. Three-dimensional planning and use of patient-specific guides improve glenoid component position: an in vitro study.